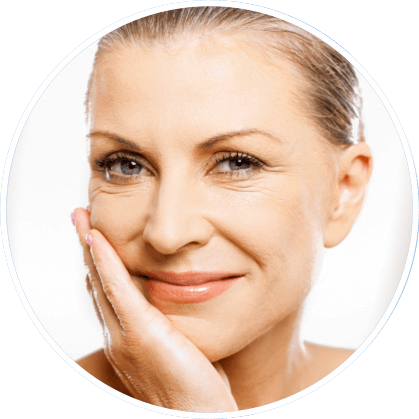 BBL (broad band light) is the only treatment designed specifically to delay aging in all patients and skin types. It works to keep skin healthy by decreasing fine lines and wrinkles, age spots, hyperpigmentation, and texture issues. All patients can benefit from its anti-aging results and skin maintenance. Research supports that with regular treatments, the genes in the skin responsible for aging actually get reversed. This means that over several years of consistent treatment, the age of the skin is actually more youthful, genetically, than when treatment originally started. Studies suggest quarterly treatment to achieve optimal skin improvement and anti-aging effects. Most people will have benefits from photofacial treatment. Patients who have sun damaged skin, patients with redness, vessels, dark age spots, younger patients who want to prevent aging skin, middle-aged patients who want to reverse signs of aging, post-cosmetic surgery and laser patients, and all skin types I-VI. Please discuss all medical history with your provider prior to scheduling your treatment. It is vital to avoid recent sun exposure, light-sensitizing medications, and Accutane. We ask that you stop all retinol containing products 1 week prior to your procedure. Let our office know if you have a history of herpes simplex (cold sores), history of sensitivity to lasers, history of adverse reactions to prior treatments, and any recent cosmetic treatments. One of our qualified health care professionals will do a thorough health history and determine if you are a candidate for photofacial treatments. Expectations will be discussed as well as a plan for maintenance therapy. Your skin will be numbed with a topical lidocaine gel for approximately 30 minutes. Light protecting metal goggles will be placed over your eyes and you will receive your treatment. An external cooling device, the Zimmer chiller, will be applied to the skin to also reduce any discomfort. Afterwards, a chemical peel may be applied if determined appropriate for your skin. You will be sent home with instructions to moisturize, moisturize, moisturize! Essentially none! Some patients may experience minor redness, and some patients may not have any signs that they had a procedure done. Over the first 2-3 days some of the darker age/sun spots will begin to darken and look like pepper flakes on your skin. These will eventually flake off and reduce or remove the spot altogether. You are allowed to put makeup on the next day following your treatment. If you and your provider decide to add on an optional chemical peel the downtime will be extended slightly. Expect to start peeling on day 2-3 and it will last for approximately 3-7 days. Avoid excessive heat exposure such as hot yoga, steam rooms, hot showers for the first few days following your treatment to avoid additional skin irritation. Avoid any exfoliating scrubs or brushes until skin has completely healed. Avoid any retinol containing products for 10-14 days following your treatment. If you have any questions, always contact our office!